Although three Australian divisions served in the Middle East, only the 9th Australian Division fought Rommel and the Afrika Korps. In 1941 they checked him at Tobruk, receiving the popular nickname of the “Rats of Tobruk,” a bit unfairly since there were a lot of British and Polish soldiers involved as well. In 1942 at El Alamein they held the northern flank, launching an attack that attracted German armour away from the critical break-in point. You can recreate this in the game Alamein. The 9th was unlike all other Commonwealth divisions at Alamein. Its titles were a memorial to the men of the Australian Imperial Force (AIF), the volunteers that had fought and died at Gallipoli and the Western Front in the Great War. They were so revered that no Second World War unit could bear the number of a Great War contingent. There were five Australian divisions in France, so the four divisions of the Second AIF were numbered 6 to 9, while the brigade numbers started with 16th. Every battalion and regiment bore the identifying signature of “2,” standing for “Second,” in front of their number, such as the 2/13th Infantry Battalion. All this went beyond just numbers. 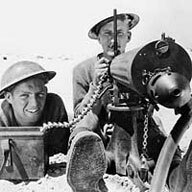 It was decided that the Second AIF divisions had to duplicate those of the First, even though British practise had changed in 1936. So, unlike a British division the 9th had the 2/3rd Pioneer Battalion, the 2/2nd Machine Gun Battalion and the 2/9th Cavalry Regiment, creating a much more powerful formation. The pioneer battalion gave the division a real edge. It could be used for building powerful infantry defences, all important in terrain lacking any real cover. It could also serve, when needed, as an extra infantry battalion. 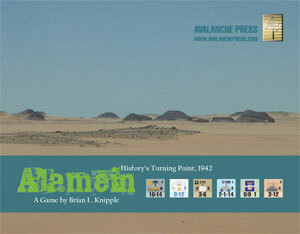 At Alamein it led the advance and nearly reached the Mediterranean coast, where it would have cut off the Axis frontline troops, before being halted by a ferocious counterattack. The Aussies had a reputation, well earned, of being world-class pilferers. New Zealand, Indian, Polish and British troops were very careful of their stores and equipment when the 9th Australian was around. If Allied stuff could not be seized then Axis equipment was fair game and put to use. The perception of stuffy British generals and officers insisting on sticking to the rules is a myth. No one cared if extra guns, whether Allied or not, were used. All that mattered was that all the official equipment was on hand. Incidentally, the only exception was the talented but dogmatic Montgomery. At Normandy, when he had the power, he could insist that every unit had exactly the right equipment and no more. But at Alamein the Australians were masters of scrounging. The 2nd/9th Divisional Cavalry Regiment had the official Crusader and Stuart tanks, and it “picked up” extras of each and backed them up with captured Italian 47mm anti-tank guns loaded on light trucks. It is still impossible to determine exactly what it had. When writing our book on the Australian Army three different orders of battle were discovered, all different and all true! One was the official establishment, another was the regimental listing, the third written by a member of the regiment. The 2/2nd Machine Gun Battalion officially was entitled to four companies each with three platoons each with four guns, for a total of 48 Vickers. It seemed that the division was informed that there were “some” extra guns around, so permission was given for the battalion to add one platoon to each company. That brought the total to 64 Vickers. Infantry battalions had been complaining that they did not get enough machine-gun support, as the 2/2nd spent a lot of time engaged in long-range indirect fire. Since they had “found” some unwanted Vickers, could they please have permission to reform the platoon which they had before in Tobruk (the 2/2nd had not been there)? Of course, came the answer, adding another 36 Vickers to the total. Next the pioneer battalion, now a fully-fledged assault unit, demanded the same. When granted this meant that the 9th Australian Division had no fewer than 104 Vickers machine guns on strength, equal to two and a half normal machine gun battalions. One would have thought that this would be quite enough, especially since the Vickers drank lots of water and went through ammunition belts without pause. But these were the Aussies, who had collected and quietly retained an interesting collection of Axis hardware. At Alamein the 9th Division operated 71 German 7.92-millimetre MG 34 and 63 Italian 7.7 and 12.7 millimetre Breda machine guns, in addition to the 104 British guns. All of these were used in sustained fire, so the division operated the incredible total of 228 MMG. This, of course, was in addition to the Bren LMG on hand, over 500 in the infantry battalions alone. No other division in the desert managed to equal the Australians in their zeal for the Vickers, but all insisted on its presence. featuring the fruits of Australian pilfery.